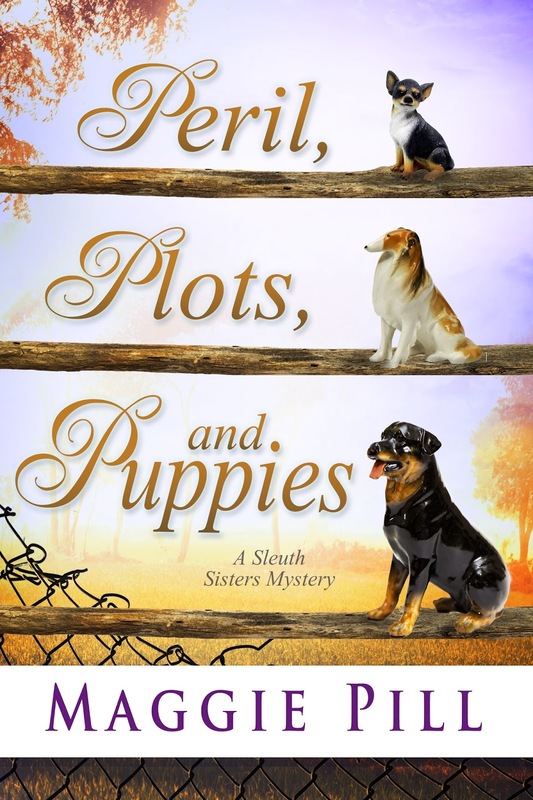 Peril, Plots, and Puppies, the 6th Sleuth Sisters Mystery, is currently in production as an audio book at Cerny American in Chicago. It's always interesting to be part of the process, and though I'm far away, I have some responsibilities. Of course I can choose the people who read my books. Since I've been happy with all the earlier audiobooks, I'm happy to stick with the Cernys. I did learn that the actress who reads Faye is no longer available, so I had to okay a new narrator for that segment. Her audition was good, and I think the books will continue to move well from pages to audio files. I also try to give the narrators a list of words that Michiganders know well but others might not, place names like Mackinac, items common here but not in Chicago like pasties, and in the case of this book, German dog commands. Now I know they can look that up, but why should they have to when I have a friend who taught German for decades? She kindly provided me with phonetics for the German words, and I sent them on. Since they all occur in Faye's chapters, I figured the "new girl" would appreciate a little help. 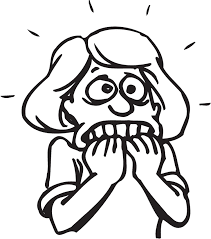 I've read authors who send lengthy requests for the readers to do this or that to show emotion or reveal undercurrents, but I tend to rely on the experiences of the narrators. After all, they're trained actors and I'm not. Finally, when the "sisters" get done with their readings, the studio engineer will send me the audio files, chapter by chapter. I usually spend a day just listening (between 8 and 10 hours). If I hear something that isn't right, I note the chapter, write down the time shown on the counter, and note the problem, usually a mispronunciation or a repeated line, when they edit a segment and forget to take out the original. The author's role is important here, because otherwise they'd have to pay a tech to sit and listen for 9 hours. It would be expensive, and of course no one want the book to be Right more than the author does! 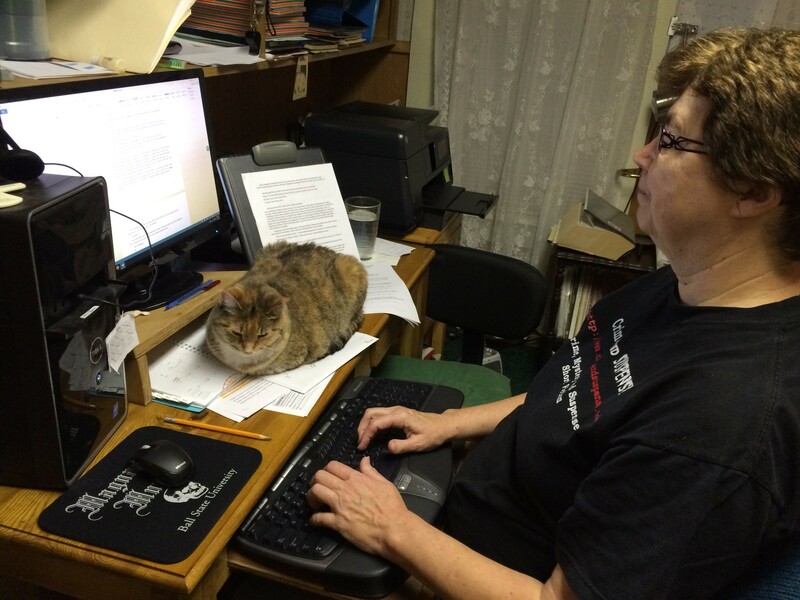 So that's what's happening as I write. I'll soon get the files to okay, and once I've done that, Audible checks them for technical correctness, which takes a week or so. When exactly will the book be audio ready? That depends on the narrators' schedules, the engineer's timeline, and Audible's efficiency. But it's in the works, and that's always exciting! Few know that retired Assistant DA Barbara Ann Evans has been staging “Correction Events” in the town of Allport, Michigan. Unable to bear the sight of grammatical errors public and private building signs, Barbara dresses up like a cat burglar to “tag” storefronts with corrected spellings. When she is spotted at the scene of a murder by a not-entirely-sober witness, Barb is unable to go to the police to either clear herself or provide her own testimony. Making the situation even more awkward is when she and her two sisters of their Smart Detective Agency are hired by the victim’s fiancé to find the “Grammar Nazi” whom most believe had a part in the murder. Barb is as offended by the title as the thought of being considered a killer, but investigating that angle at least keeps her out of the way of her boyfriend, Police Chief Rory Neuencamp. Younger sister Retta Stilson emphatically insists that their client, former beauty queen Frances Habedank, is using them to fool the police and cover her own guilt. Retta may be a bit biased on that front though, as having passed fifty she is facing the harsh reality of no longer being able to rely on her looks. The way Barb sees it, Frances is just the amped-up, much younger version of Retta. 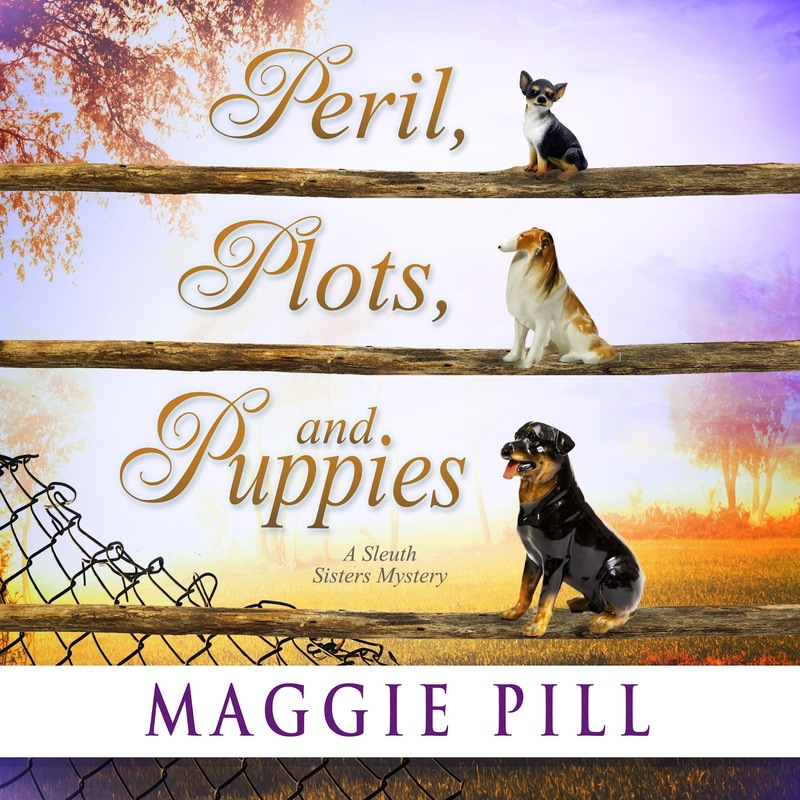 Another client’s request to find a lost dog leads the Sleuth Sisters to a horrific puppy mill, where even soft-hearted middle sister Faye Burner has her faith in mankind tested. The author of cozy mysteries under the name Peg Herring, Pill continues to develop these stellar characters into admirable, vulnerable, and always relatable mature women. Many will sympathize with Retta’s shock and anger at being considered OLD, underestimated, and overlooked. It’s a joy to see how much the only-flighty Retta has evolved since her first appearance nine books ago, especially in the eyes of her two sisters. Chapters narrated by each sister provide further insight into each of their personalities, which include their unique humor and love for one another. Thankfully for the weak of heart, scenes of the puppy mill quickly shift towards to the extraordinary efforts of a no-kill shelter and generous volunteers. Depictions of the forgiving spirits of the abused canines will have readers visiting their nearest shelter as soon as possible, if only to help care, if not to adopt, a new furry baby. The challenge of aging in a youth-obsessed society and need for animal protection rights are perfectly weaved into this well-plotted mystery investigation. Readers will find themselves relating to at least one, if not all of the three detecting sisters. The siblings may argue and be frustrated by long past offenses, but in the end their love and loyalty conquers all. This continues to be such a fun, witty, and warm-hearted mystery series. I grew up on a small farm in northern Michigan, so when I write the Sleuth Sisters Mysteries, memories seep in. I really did help pick stones from our fields in spring. In summer, I drove the tractor while my dad and grand-dad loaded hay bales onto the wagon. I gathered eggs from chickens who weren’t thrilled about giving them up. And I used a Mason jar to dip our breakfast beverage from a metal can while the milk was still warm from the cows that provided it. 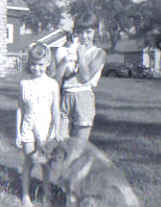 The first animals we had purely as pets were two ornery ponies we loved like family. Later, we moved on to retired draft horses from Mackinac Island (where there are no cars). I learned that like dogs, cats, and even cows, each horse has a personality. Dolly was the size of a tractor, but she made it almost all the way into the kitchen one day before my mother shooed her out. My usual mount, Danny, was good on the out-bound part of a trail ride. He’d calmly follow the other horses to wherever we were going and wait patiently while we swam or picked berries. When we turned toward home, however, he knew he’d soon be set free, so he took off at a dead run every time. No amount of pulling on the reins or hollering made him stop until he reached the barnyard fence. What’s a Home without A Critter or Six? As an adult I’ve looked after many pets, from a snowy-white rabbit to a one-eared cat who loved to go hunting with my husband. My two favorite dogs were a black Lab named Pete, who could sneak up on birds and catch them in his mouth, and a little bit of bone and hair named Gertrude, seven pounds soaking wet, who believed she could win any fight, whatever the opponent. Luckily, she never had to prove it. Though we’ve welcomed many pets into our home, we’ve decided there will be no more. We have only a cat left, an adopted stray named Trouble who is 23-1/2 years old. She travels with us, though I can’t say she enjoys it, and it’s become worrisome. She got sick a month ago, and I agonized over what I’d do if we had to put her down. (She’s better now and back to ruling the house.) Though we love Trouble, we’ve decided she will be the last. We’re on the road a lot due to my book events, and we dislike leaving pets in unfamiliar situations or imposing on friends and family to care for them. Life will be simpler if we don’t take on a new animal. At least that’s what we tell ourselves. It’s hard to imagine no little fur-face to greet me in the morning (sometimes earlier than I’d like), but when our old cat crosses the Rainbow Bridge, I’m going to try being a Pet Aunt, not a Pet Mom. Can I do that after decades and decades of daily interaction with animals? We’ll see. To enter to win a copy of Perils, Plots, and Puppies, simply email KRL at krlcontests@gmail[dot]com by replacing the [dot] with a period, and with the subject line “perils,” or comment on this article. A winner will be chosen May 5, 2018. U.S. residents only. If entering via email please include your mailing address, and if via comment please include your email address. Check out other mystery articles, reviews, book giveaways & mystery short stories in our mystery section. And join our mystery Facebook group to keep up with everything mystery we post, and have a chance at some extra giveaways. I'm pretty good at worrying, though my dad was a believer in the adage that worry solves nothing in the future and spoils everything in the present. No one would like the newest Sleuth Sisters book, Peril, Plots, and Puppies. We would have trouble getting home from Florida because of traffic. Old cat rallied and is now back to running the house the way she likes it. People have been nice to the new book, and it's selling well. The trip home was uneventful (except for the day I dropped 174 loose pages of manuscript all over a motel lawn, but we think we got them all back). The garage door wouldn't open. The car dashboard lit up like a Christmas tree as we pulled in the driveway. 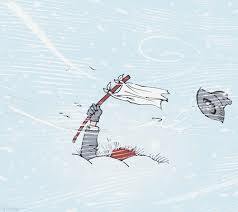 Michigan got hit with a HUGE winter storm that isn't over yet: snow, ice, sleet, rain--you name it, we've got it. On the good side, we're home, safe, and warm. So Dad was right. Worrying doesn't change anything, and because Karma loves surprises, you'll never be smart enough to worry about the right things anyway.